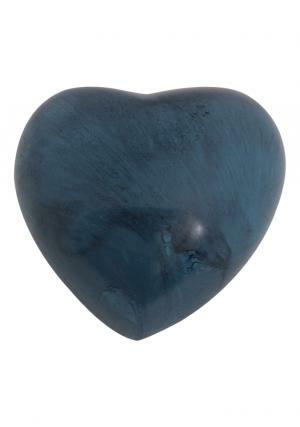 Blue Marble Aluminium Heart Keepsake Memorial Ashes Urn, coated in marble finish with typical black brushing finished in smooth texture. 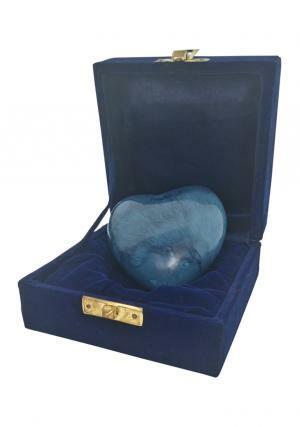 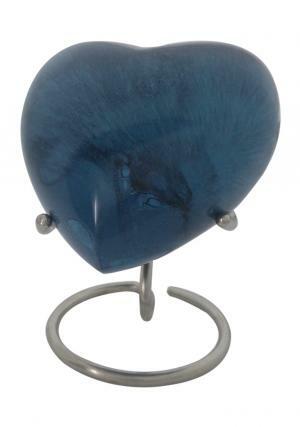 The beautiful blue heart keepsake funeral urn can be a perfect present to preserve ashes. 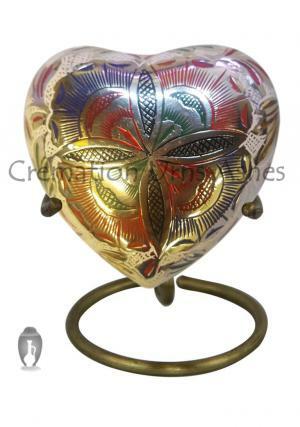 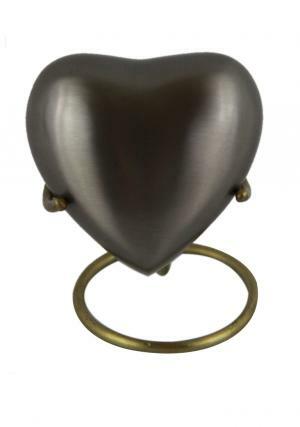 Marble Finish Aluminium Cremation Heart Keepsake Urn is decorated with the presence of screw threading, used for easy insertion and tight closure of ashes inside. 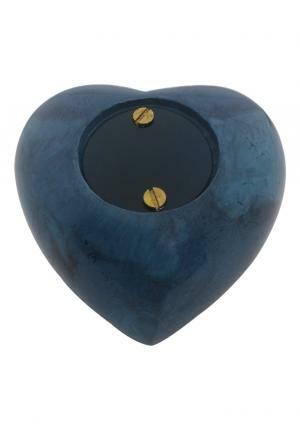 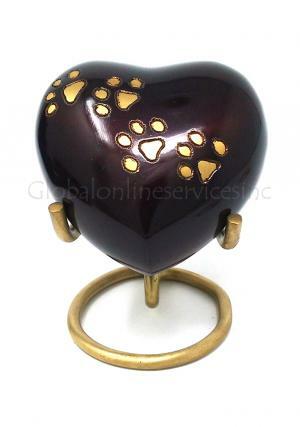 The volume space inside the heart keepsake urn is measured for 3 cubic inches with 2.76 inches tall, width of 1.57 inches that weighs 0.24 kg.